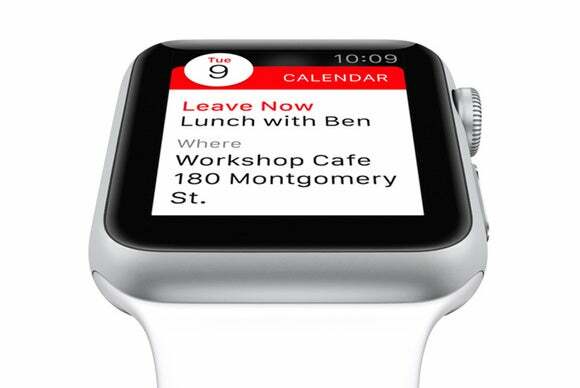 No one knows for sure how Apple Watch will fit into their lives when it starts shipping Friday, but one thing is certain: It’s going to be a lot easier for your job to slide to the forefront of your thoughts with Watch notifications from collaboration apps like Slack, HipChat, and Trello. 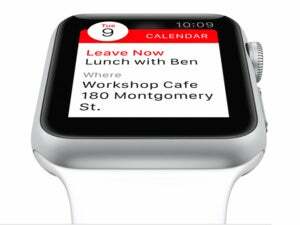 But those notifications might just be more useful on your Watch than your phone. When a coworker mentions you in a Slack room or pings you on HipChat, you can glance at the message and quickly respond without diving into other ”work” tasks on your iPhone. More than 750,000 people use the popular productivity app Slack to chat and share documents with their work teams every day. 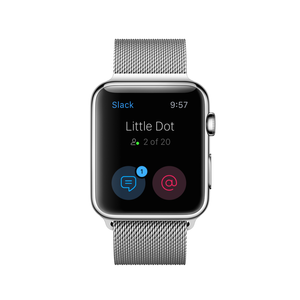 Slack’s Watch app will let you read and reply to your most recent direct messages and keep track of unread mentions. You’ll be able to cherrypick a preselected response or dictate your own quick reply. There won’t be a Glance view for Slack at launch, because the company is still figuring out the best way to view channels on the Watch. Archambo also hopes the next version of WatchKit will allow apps to run continuously so people can keep Slack open all day, but don’t expect that anytime soon. If you work at one of the 43,000 companies that use HipChat, you’re probably familiar with the buzz of notifications you receive from colleagues on your phone when you’re offline. The HipChat Watch app aims to cut down on the noise and help you manage the notifications you actually need to respond to without taking you out of your real life. “I can use my Watch to decide: Do I pull my phone out? Do I use a laptop to deal with this thing? I can do a quick acknowledgement to stay in touch with my team,” HipChat engineering head Steve Goldsmith told Macworld. You can respond to a message with emoji or a voice-dictated reply and hand off a conversation to your iPhone or Mac if it’s getting too serious to handle on the Watch. Goldsmith is excited for the possibilities of using haptic feedback to deliver notifications, and the real-world potential for voice dictation. 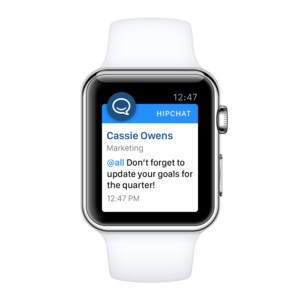 One use case could be dictating actions to a third-party app integrated with HipChat—for instance, creating an Asana task from a HipChat comment you dictate to your Watch. Like other apps to help you get work done on Apple Watch, Evernote is all about quick interactions that can be handed off to your iPhone if need be. You can add notes, set reminders, check items off your to-do list, and start reading a note that you can pick up later on your phone. 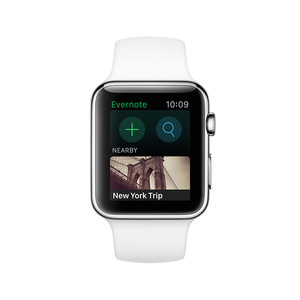 For many Evernote power users, the biggest Watch feature will be search. You’ll be able to scour your notes for keywords, which will come in handy when you need to think of something right. This. Instant. Evernote will also show you a handful of notes it thinks you’ll find useful, but don’t expect to use your Watch to dive deep into a project. For that, hand off a task to your iPhone. Project management app Trello is all about visuals: Think of it as the Pinterest of productivity. The platform uses cards, which are like virtual Post-Its that you can drag and drop into different lists or projects. So how does that translate to Apple Watch? Trello CEO Michael Pryor told me that while the iPhone will still manage the bulk of your Trello workflow, you can use the Watch app to add new cards or tasks, receive notifications about upcoming project due dates (then change or postpone the date), view recent cards you looked at on your phone, and respond to comments from collaborators. 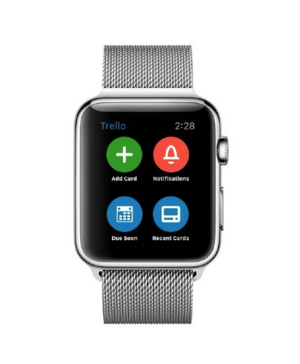 For group collaboration apps like Trello, being on Apple Watch is another way to let colleagues work together no matter what device they’re using.